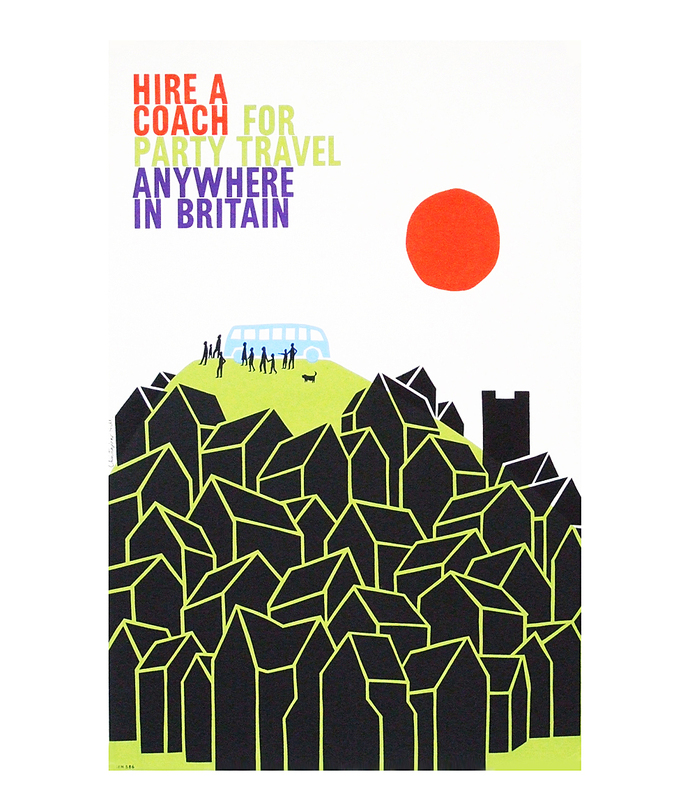 Rare 1962 Promotional coach hire poster designed by British artist Christopher Hill and commissioned by British Transport. Published by and for the Omnibus Company Ltd. Rolled.